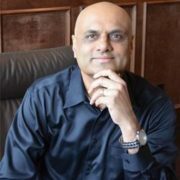 In all of his experience, Vinay has focused on the set of behaviors within oneself – that can actually result in enabling others to succeed – a system that he lays out in great detail in this book. Vinay emigrated from India to the USA, on Jan 1st 1990. He holds a Bachelor’s Degree in Mechanical Engineering from the University of Mysore, India and an MBA from Texas A & M University, Texas, USA. Vinay lives with his wife and two children in the Dallas, TX area.